In late 2014 I built a tool called pymr. 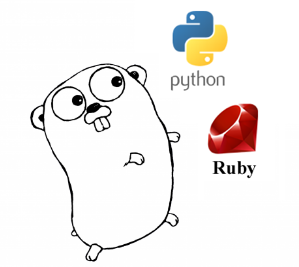 I recently felt the need to learn golang and refresh my ruby knowledge so I decided to revisit the idea of pymr and build it in multiple languages. In this post I will break down the “mr” (merr) application (pymr, gomr, rumr) and present the implementation of specific pieces in each language. I will provide an overall personal preference at the end but will leave the comparison of individual pieces up to you. For those that want to skip directly to the code check out the repo. To compare building the command-line interface let’s take a look at the register command in each language. To build the command line interface in python I chose to use the click package. To build the command line interface in ruby I chose to use the thor gem. To build the command line interface in Golang I chose to use the cli.go package. If the user asks to --append read the . [py|ru|go]mr file if it exists. Merge the existing tags with the given tags. Write a new .[... ]mr file with the new tags. Searching for and reading a file. For python this involves the os module. For ruby this involves the File class. For golang this involves the path package. For python this involves the use of a set. For ruby this involves the use of the .uniq array method. For golang this involves the use of custom function. I tried to choose the simplest possible file format to use in each language. For python this involves the use of the pickle module. For ruby this involves the use of the YAML module. For golang this involves the use of the config package. Call the given command in the directory of a matching file. For python this involves the os module and fnmatch module. For ruby this involves the Find and File classes. For golang this requires the filepath package and a custom callback function. Nothing additional is needed in python for this task. Nothing additional is needed in ruby for this task. 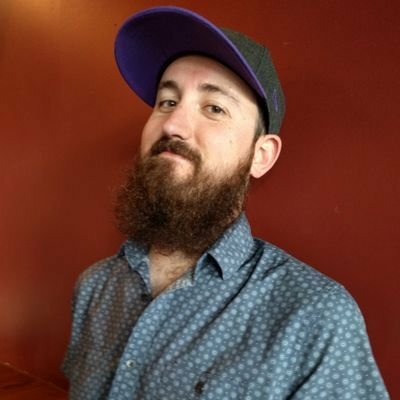 For golang this requires the strings package. For python this requires the os module and the subprocess module. For ruby this involves the Kernel module and the Backticks syntax. For golang this involves the os package and the os/exec package. The ideal mode of distribution for this tool is via a package. A user could then install it tool install [pymr,rumr,gomr] and have a new command on there systems path to execute. I don’t want to go into packaging systems here, rather I will just show the basic configuration file needed in each language. For python a setup.py is required. Once the package is created and uploaded it can be installed with pip install pymr. For ruby a rumr.gemspec is required. Once the gem is created and uploaded is can be installed with gem install rumr. For golang the source is simply compiled into a binary that can be redistributed. There is no additional file needed and currently no package repository to push to. Python is the winner here. The click libraries decorator style declaration is clean and simple. Keep in mind I have only tried the Ruby thor gem so there may be better solutions in Ruby. This is also not a commentary on either language, rather that the CLI library I used in python is my preference. Ruby is the winner here. I found that this entire section of code was much cleaner and more readable using ruby’s Find.find() and especially the next unless syntax. Ruby is the winner here. The rumr.gemspec file is much simpler and the process of building and pushing a gem was much simpler as well. The bundler tool also makes installing in semi-isolated environments a snap. Because of packaging and the recursive directory search preference I would choose Ruby as the tool for this application. However the differences in preference were so minor that Python would be more than fitting as well. Golang however, is not the correct tool here. This post was originally authored on Kyle’s personal blog and included great discussion on Reddit.